I liked everything. Very kind stuff and a wonderful comfortable bed, and million dollar view from my balcony. The place is furnished simple but functional, the kitchen equipped just right. There was enough parking for all the guests. I loved the place! Good sea views. Nice heated pools. Friendly and helpful staff. 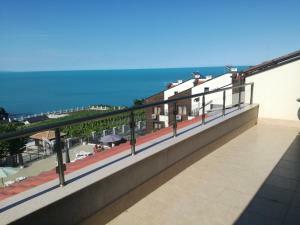 The apartment was having a wonderful sea view from 2 terraces. It consists of 2 bedrooms on split levels, a living room with kitchen, seating and dining area and another small living room with a coach. The kitchen was quite well equipped for our purposes. There is a parking secured by a guard and a barrier for about 10 cars. There is no beach nearby, the pools are nice though for those who want to stay in the complex. There were always some places around the pools. 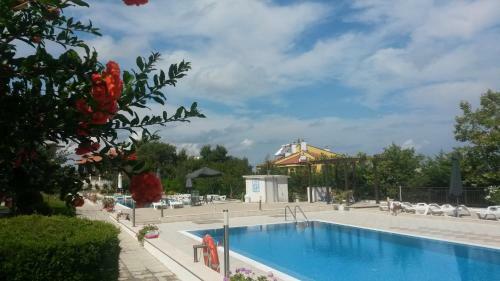 Staff were very helpful, the view was great, the apartment was spacious and the swimming pools excellent. We overlooked the sea and swimming pools and our room was ground floor not far to carry luggage. Wonderful room w/ a sea view. EVERYTHING was as advertised on Booking.com. The staff was quite accommodating and very friendly. The pools were simply great to swim in. The fridge was set at a cold temp and you could actually make ice cubes. This is unlike several other rooms we have had in Bulgaria. 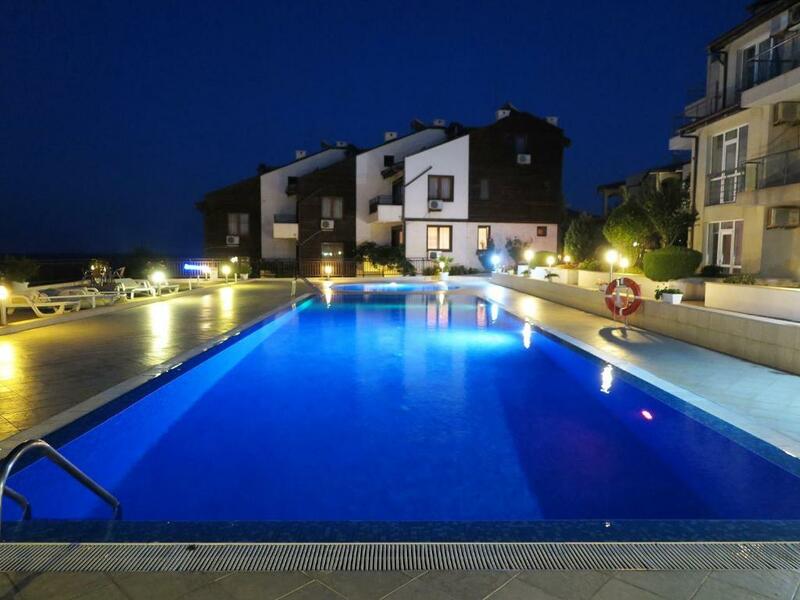 They also have guarded parking and can make reservations for other touristic type trips in the Sozopol area. Extremely helpful staff. 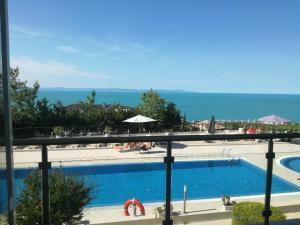 Beautiful sea view, nice and clean pools - child friendly. 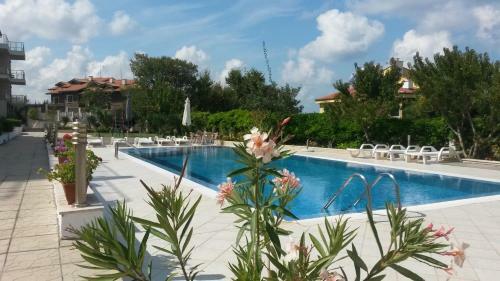 Lock in a great price for Apolon Complex – rated 8.9 by recent guests! Apolon Complex This rating is a reflection of how the property compares to the industry standard when it comes to price, facilities and services available. It's based on a self-evaluation by the property. Use this rating to help choose your stay! 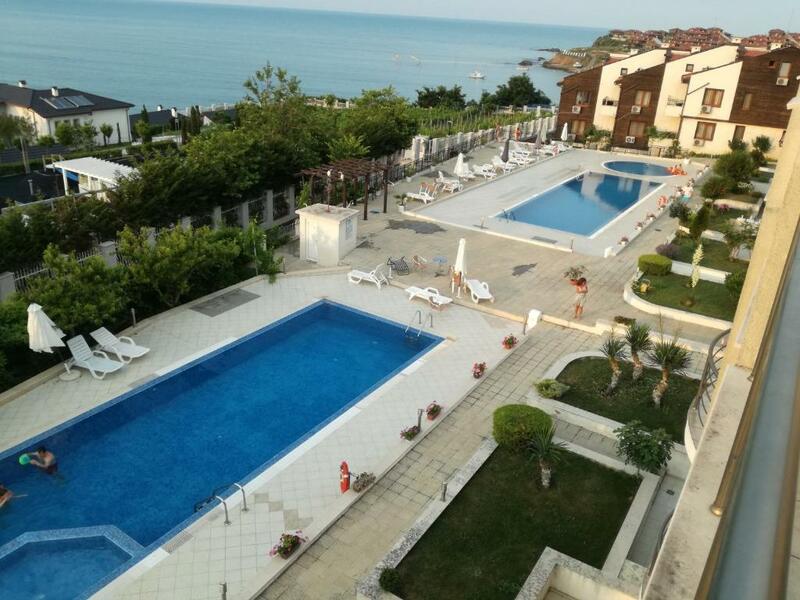 One of our top picks in Sozopol.Apolon Complex offers 2 swimming pools and a children's pool, self-catering apartments with free internet, and an on-site supermarket. It is on the Black Sea Coast, 1.6 mi from Sozopol city center. The modern apartments at Apolon each feature a well-equipped kitchen with dining area, and a seating area with sofas and cable TV. Each apartment has a balcony with sea views. Leisure facilities at the hotel include table tennis tables and a children’s playground. Many restaurants and shops can be found at the New Town Beach, 0.9 mi away. The sandy Kavaci is 1.9 mi from the complex and Budjaka Beach is 2,650 feet away. Burgas is a 30-minute drive away, and free parking is provided. The Old Town Beach is a 10-minute drive away. When would you like to stay at Apolon Complex? This is a 1-room studio with double bed, dining area and kitchenette. Features a double bedroom and a separate living room with kitchenette, sofa bed and balcony. Spacious apartment featuring a double bedroom and a separate living room with kitchenette, sofa bed and balcony. The maximum occupancy is 4 guests. These large apartments have one double bedroom, one twin bedroom, and a separate living room with kitchenette, 2 balconies and a sofa bed for 2 guests. This is a 2-floor apartment. House Rules Apolon Complex takes special requests – add in the next step! Apolon Complex accepts these cards and reserves the right to temporarily hold an amount prior to arrival. A prepayment deposit via bank transfer is required to secure your reservation when booking without a credit card. The property will contact you after you book to provide any bank transfer instructions. The place was a bit remote. Clean rooms, clean pool, nice view. Uncomfortable beds (retractable sofas). Limited parking. Window sound insulation not great, so you will hear the kid's cries from the pools. The kitchen was greasy, not cleaned enough. There is very nice sea view. All good, nothing to complain! We would recommend a better cleaning. At first look, the apartment looked clean, but after that i noticed there is still some hair from previous tenants and in the first evening we saw crowds of ants. The apartment was not cleaned by the stuff for 3 nights, neither there was a towel or bed linen change. For us not really an issue, but a person should have a car there in order to reach restaurants or beaches. The double bed in one of the bedrooms was probably 120cm, quite tiny. I was driving a van and there really is not enough parking I had to leave it on edge of road but it was at least overlooked by a security box. If someone had moved the hotel directly to a nearby beach!